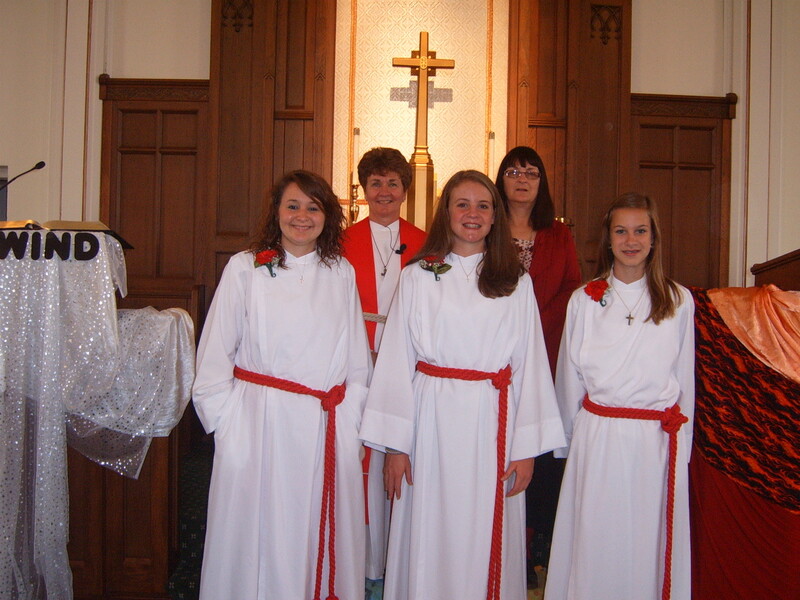 On Sunday June 12th Zion had the honor and joy of confirming 3 young women, Jordan, Caroline and Eleanor. The Spirit was truly present in the sanctuary that had been adorned by the confirmands, Pastor Donna and Pastor Kim. 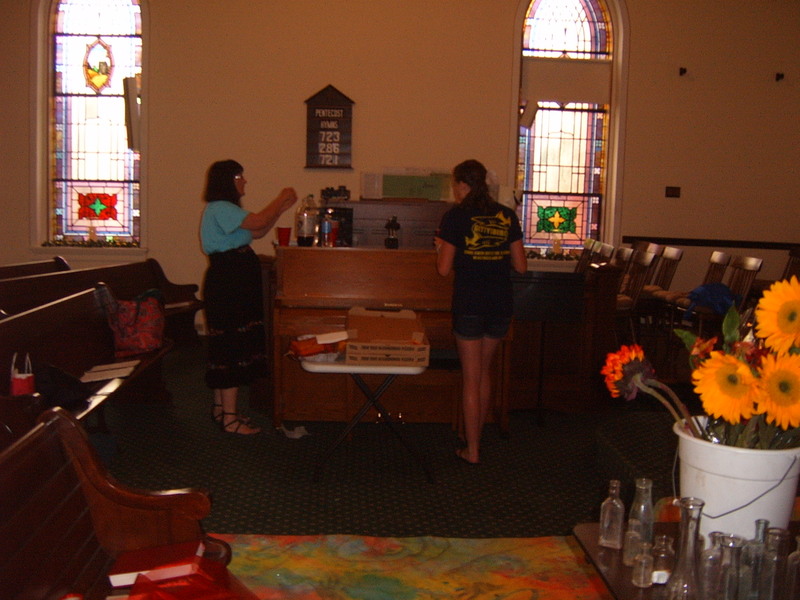 Pizza fortified us on Saturday evening, as we worked to bring the sanctuary to life. One of the key elements in preparing the sanctuary for worship was the use of the art piece that the girls had created at Lancaster Seminary. This 3o foot canvas had been painted in colors that represented the mighty rushing and tongues of fire, to which Acts testifies. It was placed on the floor, leading to the chancel, to represent the walk of their faith journey. We also created wall hangings that spoke to the power of the Holy Spirit and created a festive atmosphere with brightly colored flowers, drapings, and other visual elements. 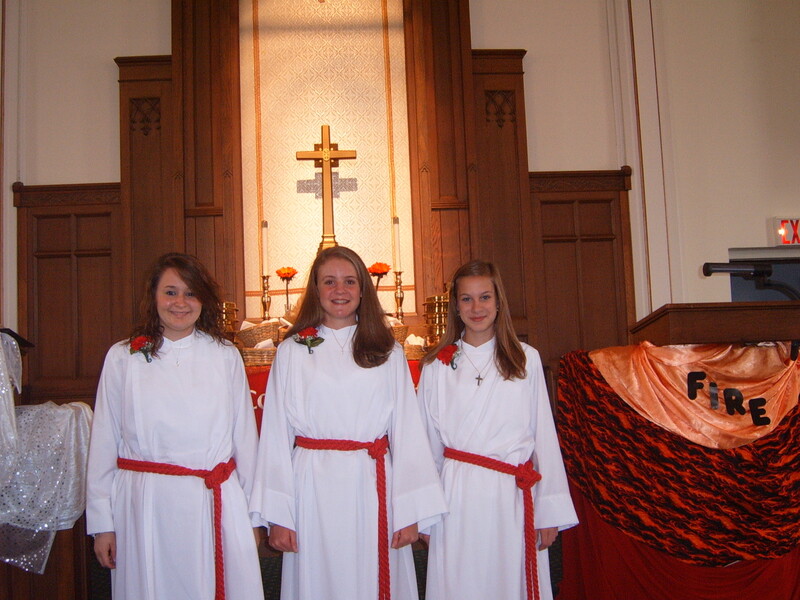 These 3 musically gifted young women also took lead roles in the special music for the day. We are proud of them and know that once these disciples get moving in the world, they will bring the Spirit with them! 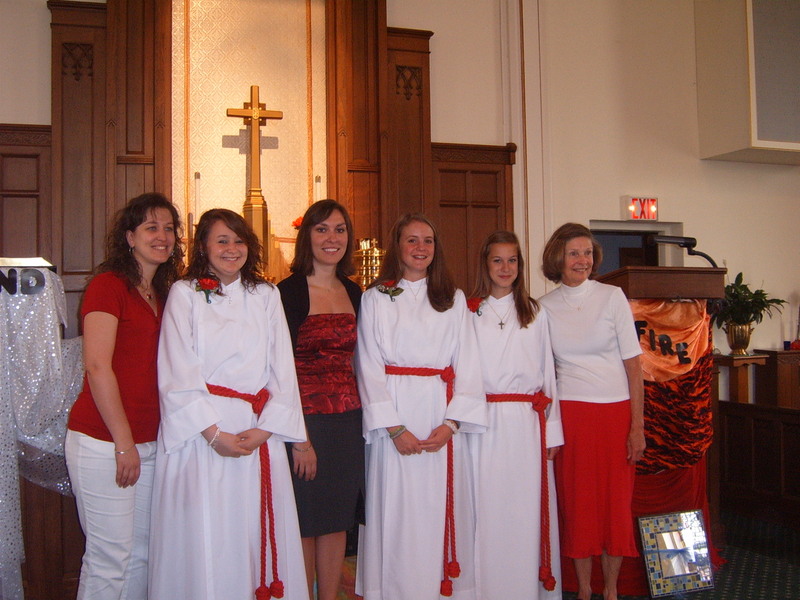 We thank their mentors Brittni Bushey, Lydia Martin and Barbara Link; and Pastor Donna Hale for helping to shepherd them throughout the Confirmation year.